Chapter 5: Money Trouble interrogates the idea of intellectual property through the shifting politics of culture in postcolonial Mali. Beginning with widespread anxieties about the social and economic value of the arts in an era of private markets and decentralized politics, it presents a local genealogy of copyright and its criminalized corollary, piracy. Emphasizing the production, circulation, and performance of music, this history reveals the longstanding and steadily deepening social, political, and economic precarity that has shaped the subjectivity of the contemporary Malian artist. Consider the difference between state-sponsored and neoliberal culture economies outlined in this chapter. Does state-sponsored culture always entail a nationalist agenda? Is private sector entrepreneurship antithetical to public funding and support for the arts? What is “nongovernmental culture?” How does this apparently informal (and sometimes illicit) cultural production, performance, and circulation relate to normative modes of cultural politics and economy? Copyright law and music piracy are typically understood as opposed to each other within modern culture economies. 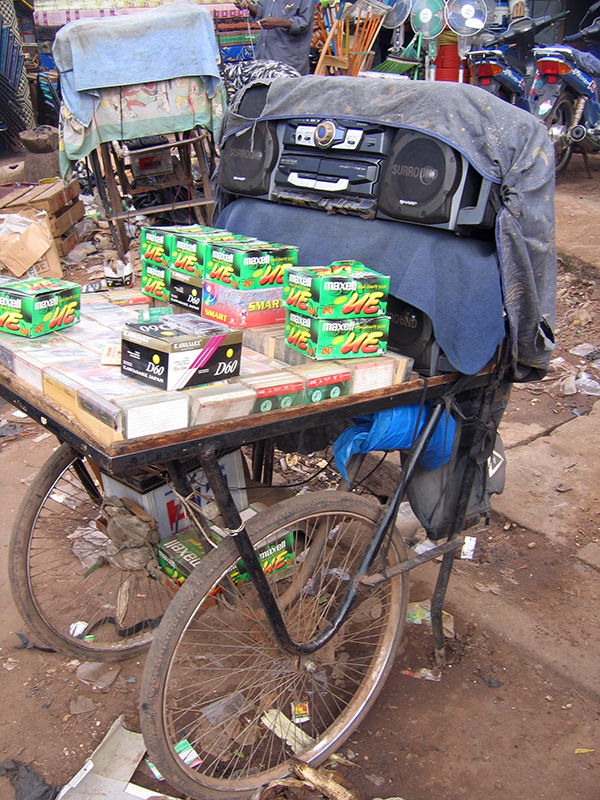 How does music culture in Bamako work both within and outside of this dichotomy?